This is an ATTITUDE CHECK for lovers of God and those whom God loves. By the numbers, I believe that most church ministers and members are sincere in their desire to serve God. Many precious people are the fruit of transgenerational religious traditions. And, because of their sheltered environments, they don’t even know that there are options. They don’t see the truth manifested in love by their critics and judges. Those who easily condemn others who don’t look and act and believe like they do would have easily condemned me during many phases of my Christian experience. It is safe to believe that in any institution dedicated to the worship of our Creator there may be found remnants of the new creation, sincere seekers, and those who are defiantly committed to their religious tradition. I have been privileged to participate in many traditions. I have knelt with Catholics and Episcopalians, and I have danced with Pentecostals. I have wept in sacred, heart-rending assemblies, and have entered into healthy exchanges in Bible studies. As a matter of fact, if the critics and judges were to examine my past church-related experiences I would be a condemned man. I gradually moved along past so many “positions” and “traditions” because I was cleaving to Jesus. I was “the real deal” from spiritual birth, as are all of God’s children. 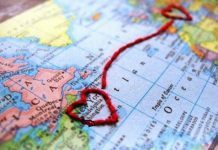 I returned to the USA from my first few missions into Third World nations bitterly judgmental because of the creature comforts we enjoy—such as air conditioning, theater seating, and some with Starbucks in massive, elegant lobbies. But, given a little time, the Holy Spirit revealed to me the wrongness of my attitude. Folks who have never been there have no point of reference. They are doing what they know to do, all that they know to do. They get dressed up with the intention of honoring God with their best. 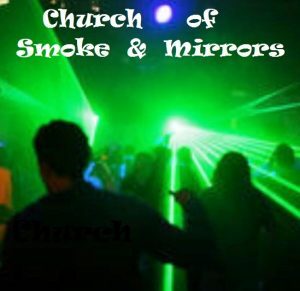 What should we do with the Church of Smoke and Mirrors? Those who are truly confident of and secure in their relationships as sons and daughters of God need not fear. We do not need to defend God. And we can posture ourselves as servants washing the feet of those who are where we were at one time. We need to graduate to the class that keeps their eyes on things above, and loves everybody. That’s what Jesus would do! Where can I find Organic Church near me?